Full Online Menu Coming Soon! Seasonal vegetables served over your choice of base. Chicken breast meat battered with a spicy honey coating. Breaded chicken cutlet served with buffalo sauce on the side. Traditional meatball braised in tomato sauce. Pork chop pan-seared with a cajun spice. Beef Short Rib braised in a French onion broth. 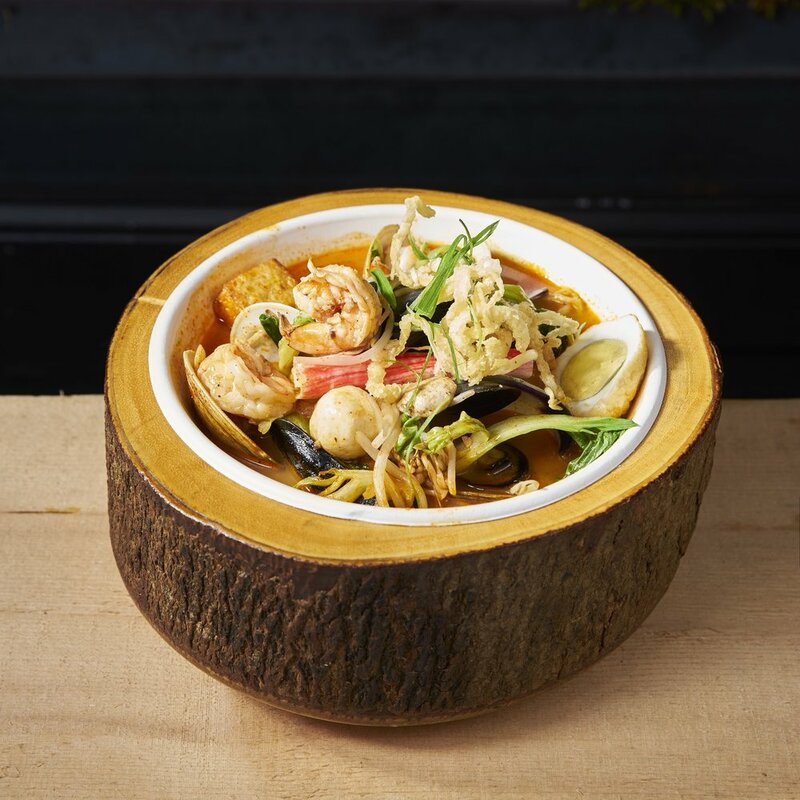 A variety of fresh seafood cooked in a spicy seafood broth. Tuna tartare served over your choice of base.